With just a touch of mayo to add richness, this isn’t a heavy dish at all. I added leek because I think leeks improve just about any dish. Brightness from rice wine vinegar cut what could have been a bland dish. 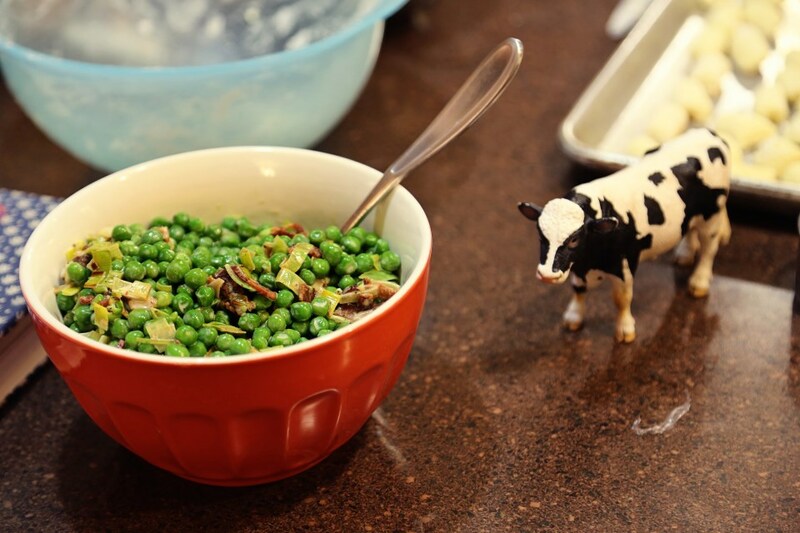 I’m happy with how it turned out, the girl seemed to enjoy it (as peas are a wonderfully natural finger-food for little hands) and it made a great side multiple days in a row. Can’t ask more out of frozen peas than that! Bring a large pot of salted water to boil and boil the peas until tender but still firm, about 10 minutes. Rinse them under cold water in a colander and set aside. Crisp the bacon in a pan and remove with a slotted spoon and set aside on paper towels to drain. Remove all but 1 tablespoon of the bacon grease from the pan and saute the leeks until tender. 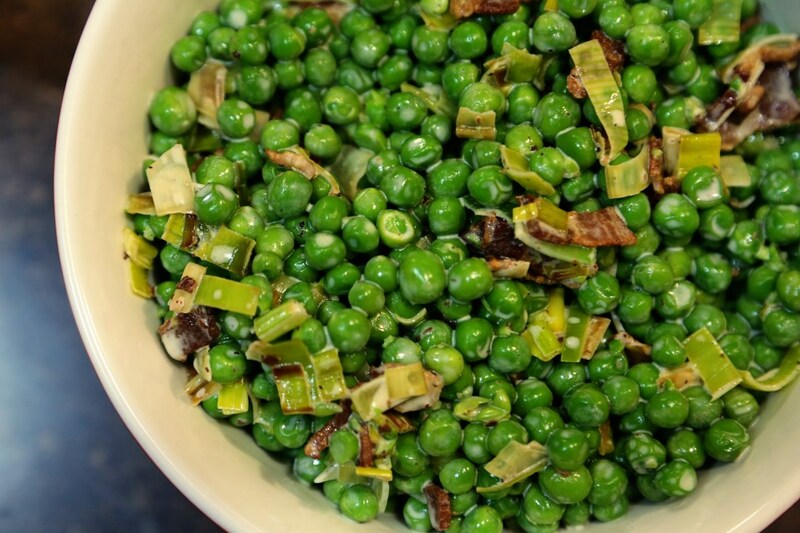 This entry was posted in Salads, Side Dishes, Uncategorized, Vegetables and tagged bacon, english peas, leek, pea salad, peas, side dishes, sweet peas, toddler food, vegetable dishes. Bookmark the permalink.